The much awaited news is here. We had reported earlier in the day that an announcement on the launch of the first look and teaser of Ilayathalapathy's Puli would be out this evening (15th June). The wait is over and as per the latest information revealed in the social media by director Chimbudevan, the first look and teaser of this film featuring Vijay, Hansika, Shruti Haasan and Sridevi will be out on the 22nd of June, on the birthday of Ilayathalapathy Vijay. It sure is a carnival of sorts for Vijay fans who are waiting for this update since a very long time. So, now the count down begins for 22nd June! 3 Superstars 3 Movies 3 Languages ! Tamil Nadu Box-office - Romeo Juliet leaps high ! A.R.Murugadoss is on cruise mode ! A new language for Baahubali! 10 from Rajini Murugan in just two days ! 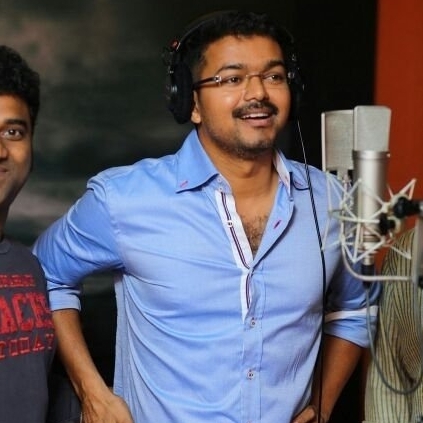 Ilayathalapathy Vijay's 59th Film, 'Vijay 59' With Director Atlee Is Touted To Be A Cop Story ! People looking for online information on Chimbu Devan, Ilayathalapathy Vijay, Puli will find this news story useful.